It’s always the water bottle. Or the lunch box. Or the sunscreen. Whatever you forget at home is bound to be something important. That’s why it’s better not to forget anything. As an experienced camper and hiker I can definitely say that the best way to avoid leaving important items behind is to create a checklist. That’s why in this post I’m going to share with you my very own day hike checklist. Now some of the items you may be familiar with and others you won’t be, but I can assure they have all been selected very carefully. The aim is not to over pack while also not to under pack – a delicate balance. You can print this list out and rest assured that following it will ensure that next time you go camping you aren’t leaving anything important behind. By important I mean crucial to your survival. Whether you choose to pack knitting needles and the kitchen sink in as well is completely up to you. I’ll be covering items that will affect your safety and convenience on day hiking trips. 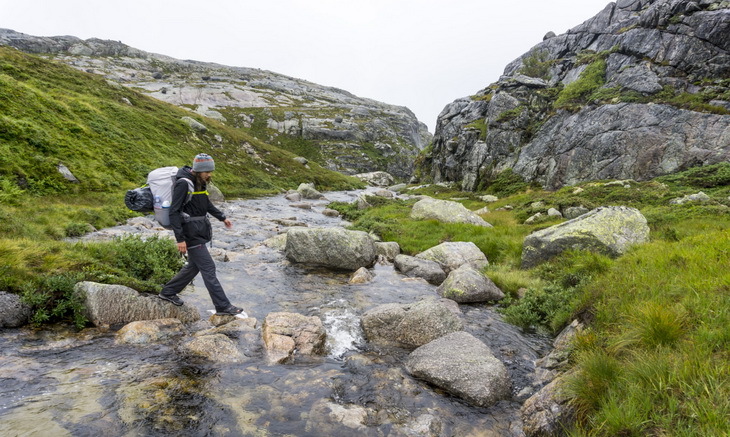 It’s worthwhile gaining an understanding of why these items are necessary for day hiking trips so that you can make informed decisions about what needs to be taken along in your unique situation. I think you’d do best taking them all, but clearly it’s up to you what actually goes in the rucksack. So without further ado, let’s get into it. This list is built for daytime hikes lasting 2 – 8 hours. You’ll find that the items for a 2-hour hike are very similar to those required for an 8-hour hike. The dissimilarity in your packing is due to occur more often due to temperature difference. 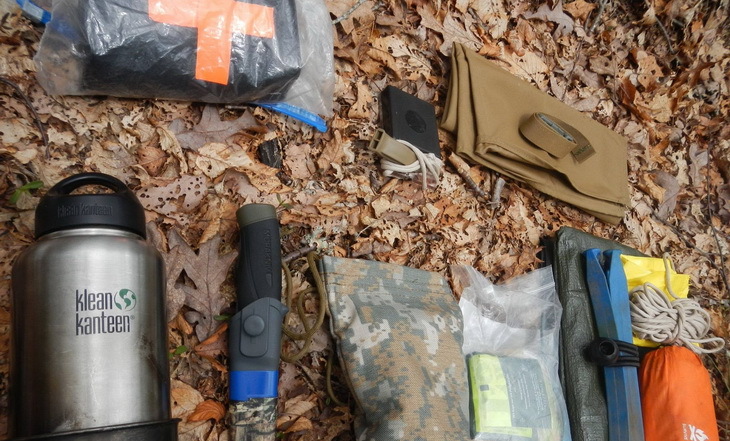 What you pack for hot zones may be different than what you need to pack for cold zones. I’ve tried to clarify the different items you should pack for varying temperatures in each item’s explanation below. Clothing & shoes will play a big part in how comfortable you are during your hike. So take note of these important list items. Sunhat: For those hiking in sunny open land terrain this is an absolute must. Nothing will take the pleasure out of your hiking trip memories quite like waking up the next day with a toasted face. We recommend opting for one of the broad rimmed circular variety hats to ensure maximum coverage of your neck as well. Belt: The last thing you need when going for a long walk is to constantly pull your pants up, so a belt is obvious for poor fitting pants. But even for those with absolutely perfectly fitting pants a belt is still a good idea. It can be modified to attach little items like pocket knives, string, carabiners, food pouches and other useful items to as well as being used as a rope in an emergency situation. Long pants: Regardless of whether you’re going out in hot or in cold conditions, long pants are your best hiking choice. In cold weather, good pants will keep you warm, and in hot weather, good pants will keep you protected from sunburn and mosquitoes. Clearly, in hotter whether you’d opt for super breathable options. What’s important in both temperature zones is to buy quick drying pants in case of sweat or rain. Long sleeve shirt: For exactly the same reasons as long pants, a long sleeve shirt is a great idea for a hike of any kind. Sunglasses: Sunglasses provide two, scratch that, three main benefits. They stop sand, swinging twigs and other debris from getting into your eyes, protect your eyes from the sun (especially important in cold climates where snow glare can have severe effects on your eyes), protect your eyes from premature aging by reducing the amount of squinting done. So there, three good reasons why wearing sunglasses on your day hiking expeditions is smart. Hiking boots: Hiking boots can make a massive difference in terms of your hiking enjoyment level. You want something well fitting, waterproof and padded for comfort. Often you get what you pay for in the footwear industry (excluding women’s heels) so you may find dishing out a bit extra for a quality pair of hiking boots that will go the distance with you every time is a worthwhile investment. Waterproof layer: This could be a thin jacket or full on rain coat depending on the temperature around you. It’s quite simple really: If it’s raining put it on and if it’s not raining, keep this layer in your pack. That being said, if your pack is getting full, you can also just tie it around your waist. Ah, the options. Watch: Having some sort of timekeeping device is super important as it will allow you to keep track of how long your trip is taking you, when last you ate and drank, when last you applied sunscreen, etc. I recommend a watch because it’s strapped to your arm and so unlikely to become lost. Clearly waterproof is the best option, as is one that shows the actual date – just in case you get lost for a period of time. Jacket: If it’s cold you’ll likely already be planning to wear one of these. If it’s hot, well let me tell you, it’s still a good idea to keep one of these in your pack. Having it there means if your trek takes slightly longer than anticipated and the heat of the day gives way to the coolness of the night you will be prepared, not shivering. So just chuck it in the pack. Comfortable Underwear: Whether you’re going for a 2-hour hike or an 8-hour hike will make little difference here, comfortable underwear is paramount to your happiness. 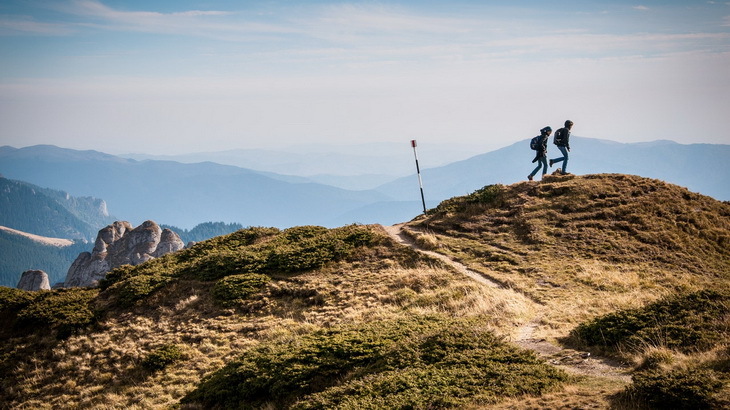 The idea of chafing for even two hours puts me off the idea of hiking completely, so check that your gear up is going to be comfortable before heading out. 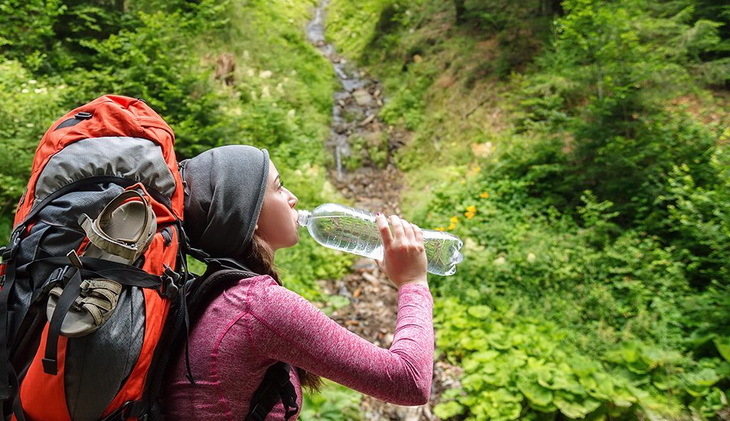 Water Bottles: The liquid will probably be the heaviest thing in your backpack when you start your hike, but never fear, as you deplete your resources your pack will get substantially lighter. And this happens when you’re getting tired at the end of the hike, kind of beautiful how it works out like that. Anyway, insulated water bottles (think steel) with 1 – 2 liters of water capacity between them should set you right. Sports Drink: When we sweat our bodies lose valuable electrolytes. For particularly long treks I’d recommend taking along a sports drink (PowerAde, Gatorade, etc.) that can replenish those electrolytes for you. Sunscreen: If you’re out in the sun (not under tree cover or cloudy skies) for the majority of the day, then you really do need to be wearing sunscreen. This stuff saves lives from skin cancer and faces from premature aging. The recommended application is every 2hours. Remember that even in snowy conditions if it’s sunny the sun will be reflecting off the snow back up into your face, so sunscreen is important regardless of the temperature around you. Lip balm: Keep those lips comfortable with a gentle lip balm application. This is an especially useful thing to do if you’re going to be hiking in windy or mountainous conditions. Food: High energy, low mass food is a good idea for hiking. The aim is to take minimal space in your pack (and to enable your pack to weigh less as a consequence). I’d recommend scroggin, a couple of pieces of fruit, and tinned meat as a decent day’s food. Insect Repellent: Mozzie riddles climates may call for you to even wear mosquito net covers, but for the average traveler, a strong insect repellent should do the trick. You can even make home-made/natural insect repellent at home before heading out. Map: Cell phone and GPS batteries can run out, so it’s important to have a paper map on hand to help guide you should you get lost at any point. This map should include the regions surrounding your trek quite broadly as there is the possibility that you might wander quite a way from your original intended path. See our article on map reading to ensure that you’ll be able to navigate with ease. Compass: A compass will help you navigate the aforementioned map. It might also help you walk in a straight line as the idea that humans walk in circles when given no landmarks is not a myth. Make sure you mark wherever you walk very clearly so that rescue teams can find you. First aid kit: Minor injuries can quickly become serious obstacles in a survival situation. That’s why you need to be well prepared to handle them. A simple kit containing a bandage, sterilizer, plasters and tweezers should suffice. Sterilizer is the most important item as you need to avoid infection. Pain killers might not be a bad addition as well. Fire making supplies: A fire can serve four purposes. It provides you with warmth, enables you to cook food, enables you to boil water, can act as a signal to rescue teams, increases your range of visibility at night (saving you on torch batteries). These are all very useful functions in a survival situation so it’s worth taking waterproof matches or a waterproof lighter along with you as well as a couple of pieces of Firestarter and a waterproof container to store dry wood in. Pocket knife: Pocket knives can be incredibly handy to have around. 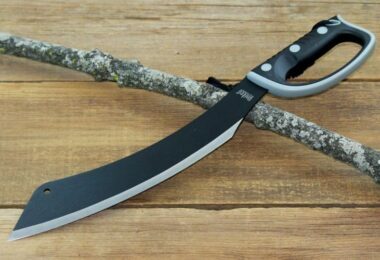 A decent one will incorporate a knife that you can cut the rope or branches or food with, tweezers that can pluck thorns with, and a spoon that you can eat with. Those are all just ideas off the top of my head. 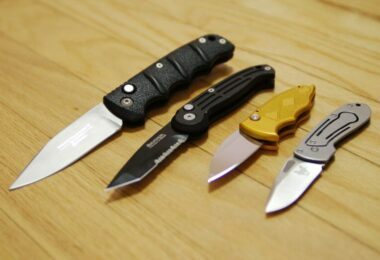 Don’t forget to read our piece on the best pocket knife sharpeners to ensure your blade stays sharp at all times. Tarpaulin: A Tarpaulin can be rolled up pretty small so that it takes minimal space in your pack. Having one on hand means that in an unexpected evening stay in the bush you can wrap yourself up in it to protect yourself from both rain and dew/ground cold. Sleeping bag: If you’re hiking in particularly cold conditions (and take note that while it’s hot during the day, some areas still get cold at night – like the desert) then it’s necessary to carry a good sleeping bag with you. This will help to keep your body warm when it’s not moving at night and help you get a much needed night of sleep. Our piece on the top lightweight sleeping bags will help you get a goodnight’s sleep so check it out. Water filter: Your body can’t go for very long without water, so it’s important that you have a way to access clean water easily. A water filter straw or other water filtration device is always worth keeping in your day hike pack just in case. Lighting device: Lighting devices can include anything from torches, headlamps, to lanterns. Personally I’d recommend either a headlamp for its hands-free pro or a self-powered torch for its non-battery dependency. If opting for the headlamp, please take some spare batteries along with you. Check out our must-read piece on the best LED flashlights to light up your surroundings at night. Extra day’s food: This is a staple requirement on many people’s hiking lists. Having some extra food not only means you could help any other travellers you find along the way on your day hike, but also means you should have some extra food to go off if you get stuck on the trail overnight. Toilet paper: For those who aren’t hiking in areas with big leaves or running rivers to substitute with, taking along some toilet paper is probably a good idea. Even if you’re not in a ‘survival/emergency’ situation, you may still find yourself needing to go during your day hike. Hand sanitizer: For the peace of mind that comes with knowing that you won’t get sick, a small bottle of hand sanitizer in your backpack can go a long way. This should probably be kept with your first aid kit, as if you’re ever addressing wounds, you’ll want to use this. Signalling device: A whistle or a flare can alert rescue teams from quite a long distance away. For mountainous terrain where you can get stuck in crevasses, this is particularly useful to have. Rope: My dad used to say that you would never not be happy that you brought rope along. So that’s my final item on the packing list – a good piece of rope can help you set up shelters, create a makeshift belt, cross rivers and even leave clues for rescue teams to follow on your path. For more options, see our article on the best outdoor ropes that can help you while in camp. 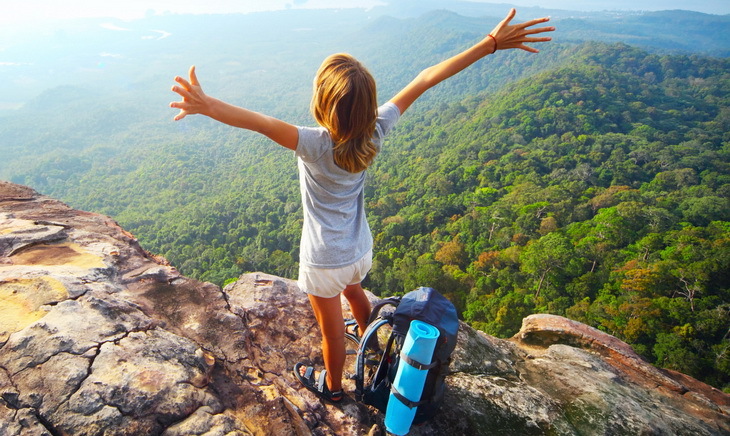 The important thing is to enjoy yourself when hiking. 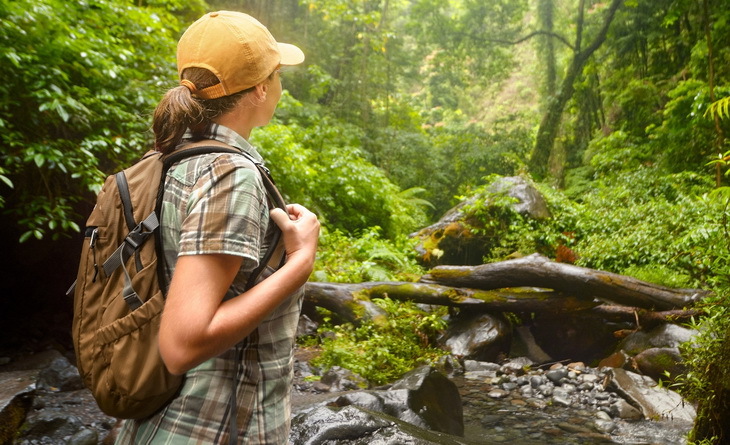 Packing well will help ensure you are comfortable and therefore fully able to enjoy your hike. This list has been put together specifically to ensure you have a great hiking trip, use it or don’t use it at your own peril. If you’re interested in compiling your own list, I would say, imagining yourself walking through the brush is a good way to identify what you might need in different situations. 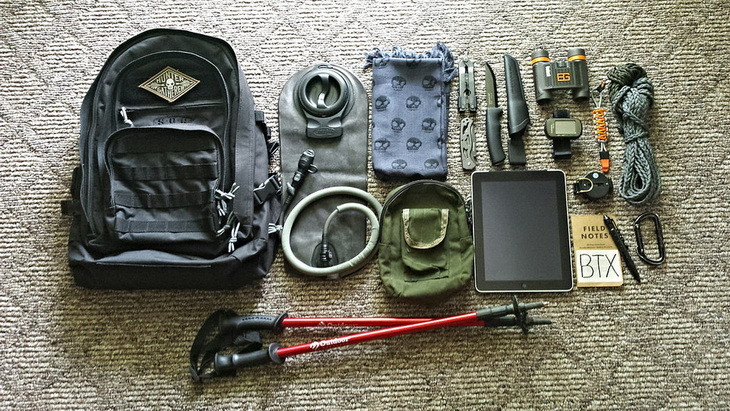 Now a question for the experienced hikers, did I miss any of your staple hiking items off the list? I’m always looking to add great items to my own one, so let me know if you have any extra ideas in the comments below.